MOTIVATED SELLER!! Picturesque and private, yet close to everything! This home has what you want in mountain living: tucked away on 1 acre double lot at the end of a quiet road, surrounded by flowering rhododendrons. 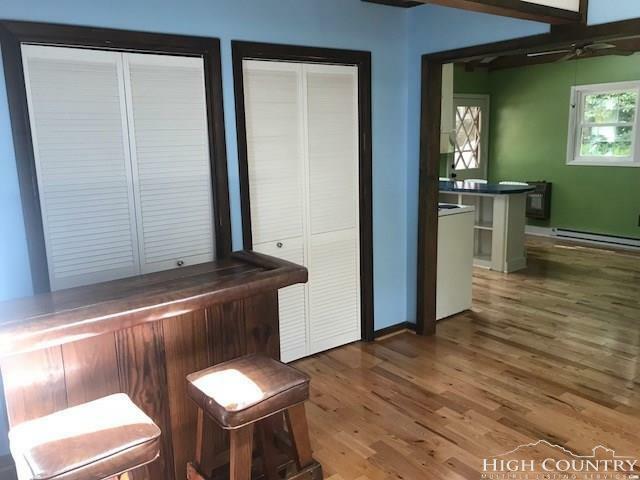 Peaceful, yet less than 4 miles (8 min) to campus or downtown Boone.Beautifully updated bathrooms, oak floors, open sunlit vaulted ceiling family room await you inside. The home is currently perced for 2 bedrooms but set up for 3. 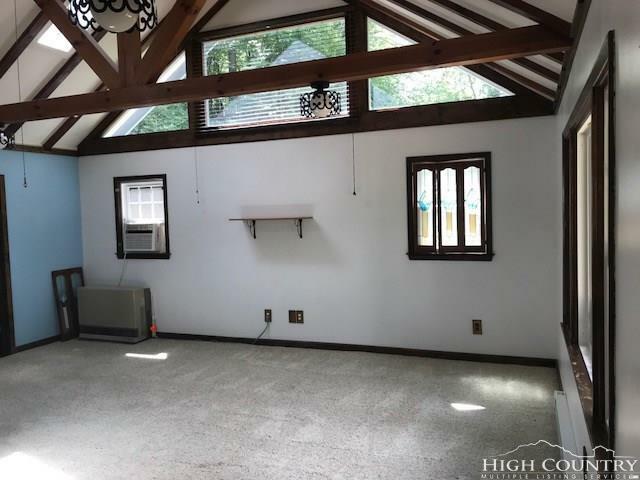 Plus, bonus room that could be used as office/playroom/4th bedroom. One level living. 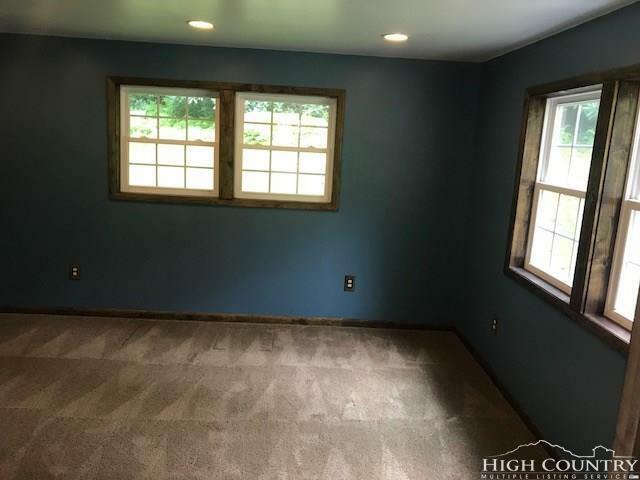 Large crawl space, pull down attic, custom closets, and workspace in 2 car garage offer plenty of storage.Over $130k spent in recent remodeling: energy saving vinyl windows, prof. tiled bathrooms, drywall, flooring/carpet, 3 decks, cleanspace, Rinnai heaters, custom closets, etc. 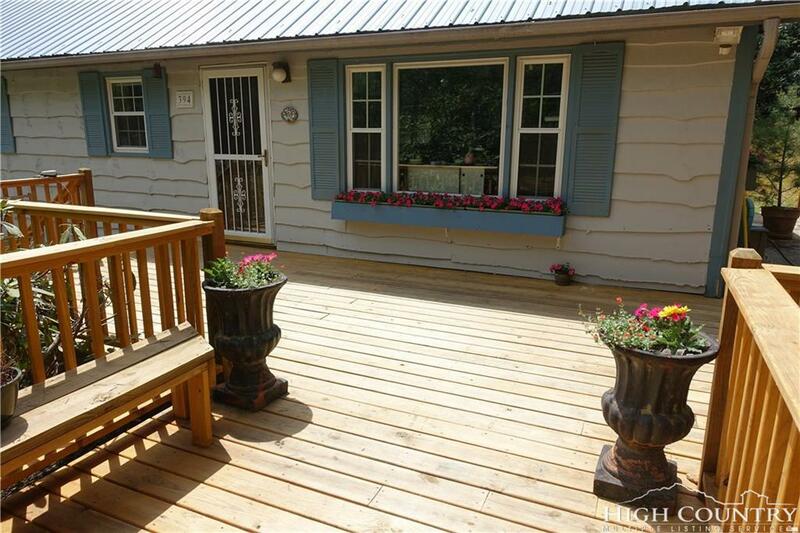 Ideal outdoor living on uncovered back deck, covered/screened porch, and large front deck with built in seating. Great for enjoying the sound of the creek and the wild rhodos. Low maintenance yard with abundant usable space: flat areas to play/relax/explore, sledding hill, gardens (lots hostas, daisies, hydrangeas!). Picturesque setting and beautiful in all seasons! Listing provided courtesy of Virginia Powell of Blowing Rock Real Estate, Llc.